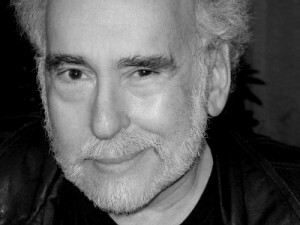 Baltimore, MD (July 25, 2013) – Otakon welcomes back writer Peter S. Beagle as a guest. Peter S. Beagle was born in 1939 and raised in the Bronx, where he grew up surrounded by the arts and education: both his parents were teachers, three of his uncles were gallery painters, and his immigrant grandfather was a respected writer, in Hebrew, of Jewish fiction and folktales. As a child Peter used to sit by himself in the stairwell of his apartment building, making up stories. Today, thanks to classics like The Last Unicorn, A Fine and Private Place, and Two Hearts, he is a living fantasy icon. Peter has written many teleplays and screenplays, including the animated versions of The Lord of the Rings and The Last Unicorn, plus the fan-favorite “Sarek” episode of Star Trek: The Next Generation. His nonfiction book I See By My Outfit is considered a classic of American travel writing, and he is also a gifted poet, lyricist, and singer/songwriter. He currently makes his home in Oakland, California. Already a famous book and movie, in 2011 The Last Unicorn also became a bestselling graphic novel from IDW Publishing. Peter appears courtesy of Conlan Press. Maryland; currently, Otakon is one of Baltimore’s few large, city-wide events, drawing over 32,000 people for three days each year (for a paid attendance of over 89,000 turnstile attendees).